– Decreasing productivity (tenth and twentieth year). 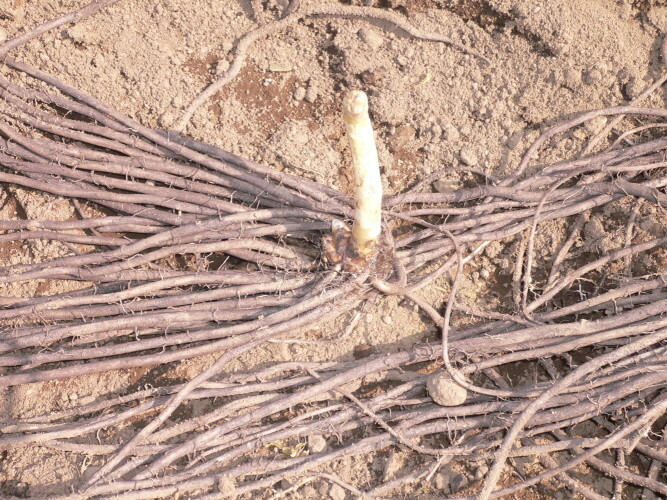 Asparagus, for its permanence in the ground for several years, can not be inserted in a normal agrarian rotation, but must be cultivated out of rotation. It should be done in the fall or, at most, in the winter preceding the asparagus plant. 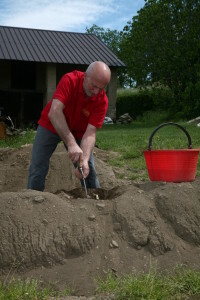 The fundamental processing is a plowing at a depth of about 60 cm. This process also incorporates the basic fertilization based on organic matter and fertilizers. Subsequently, the surface of the ground is erected and equalized; when the system is in place, parallel deep and wide 20-30 cm wide openings are opened. 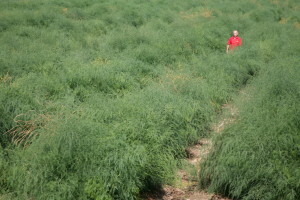 The asparagus plant is carried out using paws of one or two years, putting them in place at the beginning of spring. 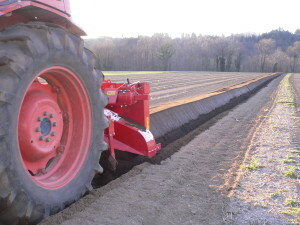 For the planting it is necessary to create on the bottom of the pits a pad of dung, in turn covered by a thin layer of earth (2-3 cm), on which the legs are placed. Subsequently the latter should be covered with a layer of fine earth. After planting it is necessary to take care that the plants activate vigorous vegetation, intervening, if necessary, to eliminate weeds by manual means. In the autumn-winter period, the cut of the dried stems is carried out, leaving a small piece, which will serve as a recognition signal to understand where the row of legs is placed, not to damage them with subsequent processing, which will be indispensable for elimination. of weeds. 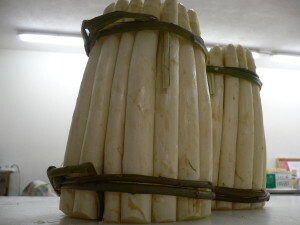 The previously cut stems must be burned, to prevent the risk of reinfections. At the same time, fertilizers are distributed in the programmed and buried quantities by milling between the rows. During the second year the same operations are repeated, and the plants are left to develop freely without being exploited. In the third year, the exploitation of asparagus begins. The files are tamped up by trimming. The collection of the shoots can be carried out in the months of April and May, and in the first year you can reach a maximum of thirty days of production, while in the following sixty years. After the harvesting period, a series of cultural treatments are carried out. 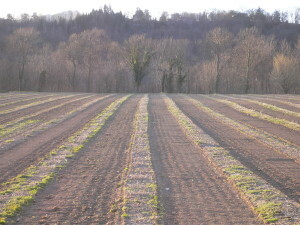 During the autumn-winter the dried air drums are cut, and the ground is lightly milled. In the following years the operations will be repeated with the same frequencies and modalities. These operations are carried out for the entire duration of the crop (around 10-12 years). The collection of the shoots is carried out daily and is performed manually, using a gouge knife, as soon as the asparagus comes out from the baulatura. After harvesting, the shoots are washed and selected, dividing them into classes, depending on the length, size and presentation. Once selected they are tied in uniform cylindrical bunches of 20/22 cm in length. The product wastes very quickly and therefore it is essential to store it in cold stores at a temperature of 4 degrees.